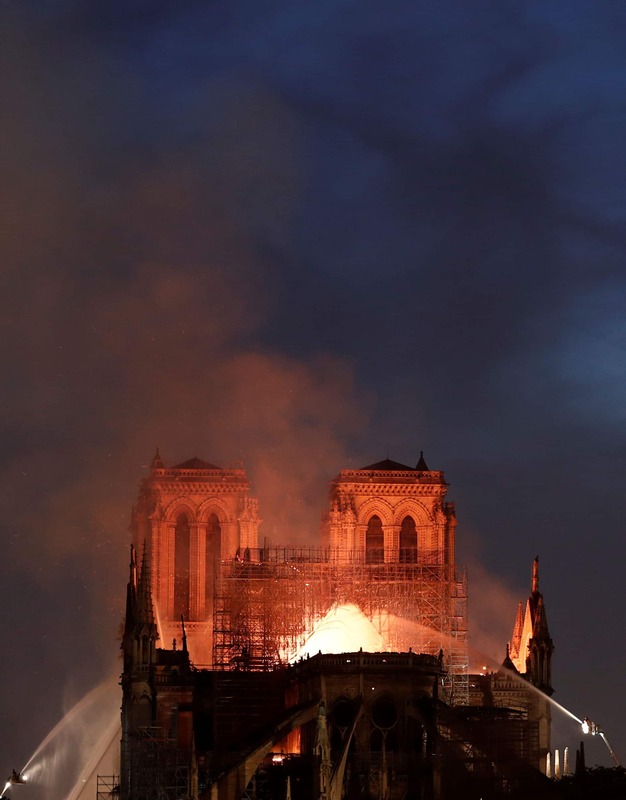 A massive fire spread across the historic Notre-Dame Cathedral in Paris, ravaging the roof of the iconic gothic monument leading to the collapse of the spire of the cathedral. 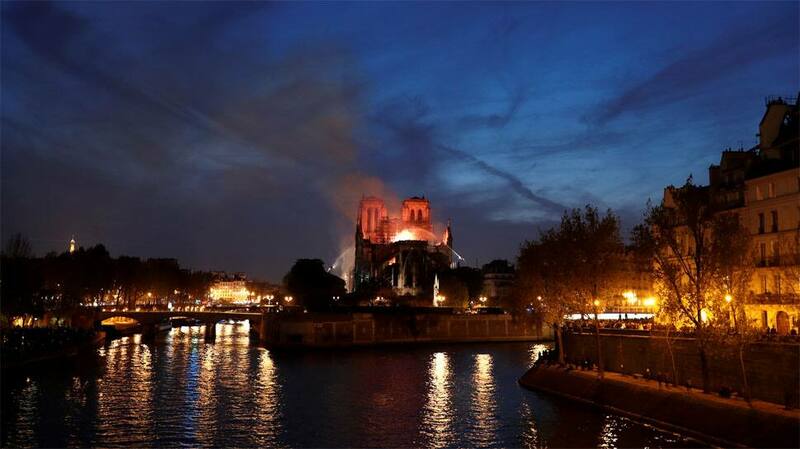 Flames began on Monday evening and burst through the roof of the 850-year-old cathedral. A huge plume of smoke wafted across the city and ash fell over a large area. The wood and lead spire was built during a restoration in the mid-19th century, according to the cathedral`s website. 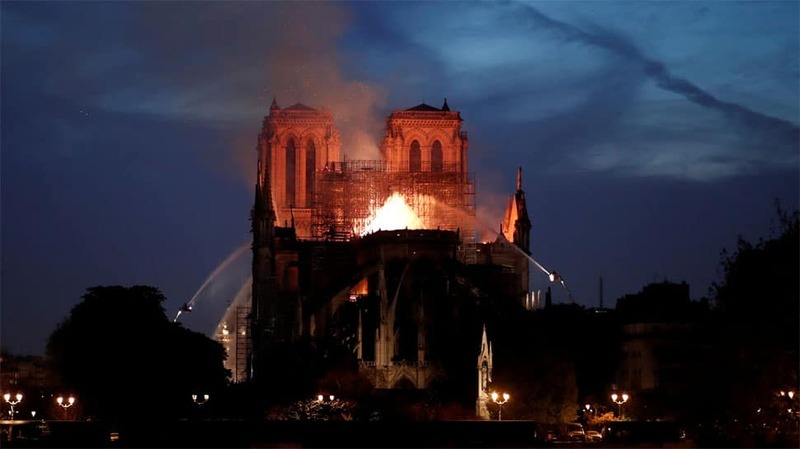 "Notre Dame is our history, it`s our literature, it`s our imagery. It`s the place where we live our greatest moments, from wars to pandemics to liberations... This history is ours. And it burns. 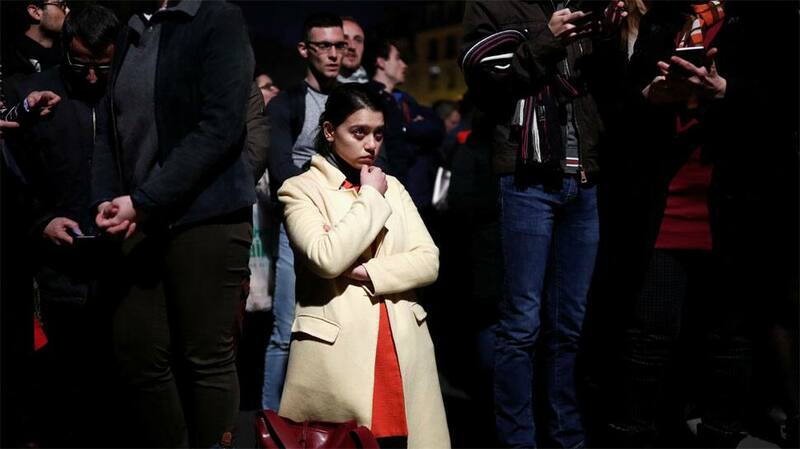 It burns and I know the sadness so many of our fellow French feel," President Emmanuel Macron tweeted. He cancelled his address to the nation and rushed to the scene of the blaze. 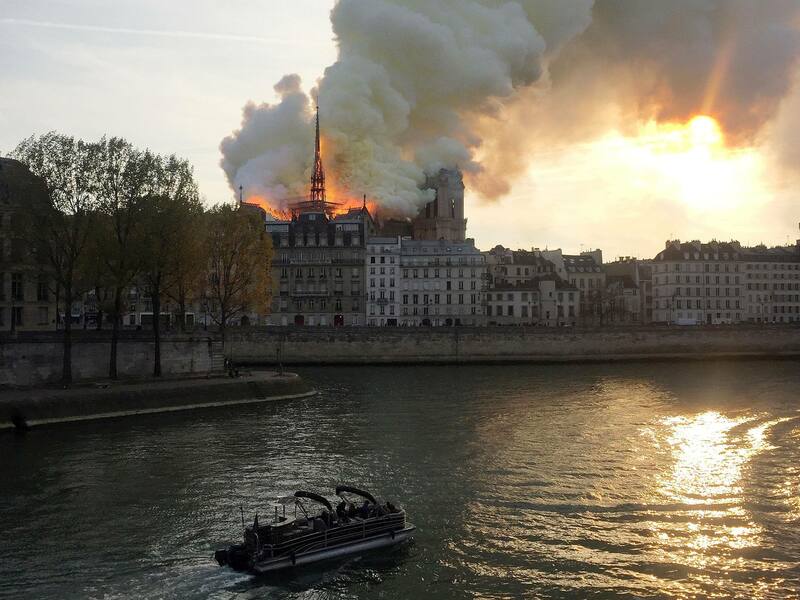 "Everything is collapsing," a police officer near the scene said as firefighters cleared the area around Notre-Dame, which sits on an island in the River Seine and marks the very centre of Paris. Buildings nearby were also evacuated. Notre-Dame dates back to the 12th century and features in Victor Hugo`s classic novel "The Hunchback of Notre-Dame". It attracts millions of tourists every year. The cathedral was in the midst of renovations, with some sections under scaffolding and bronze statues were removed last week for works. 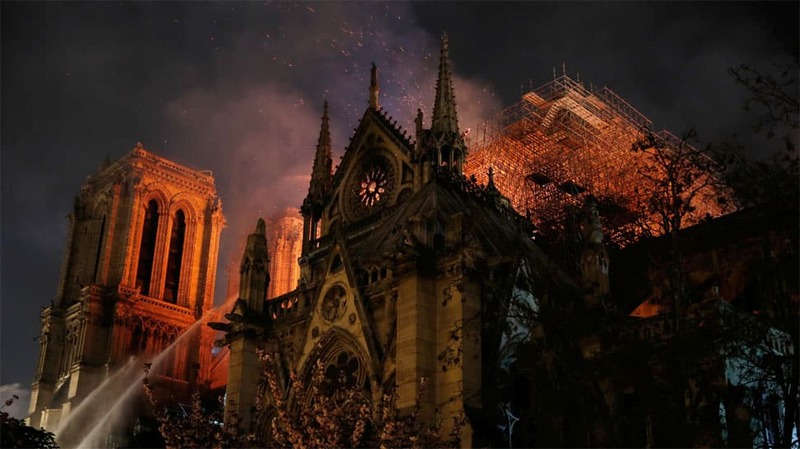 While the exact cause of the blaze is not yet known, but French media quoted the fire brigade as saying it was "potentially linked" to a 6 million euro ($6.8 million) renovation project on the church's spire and its 250 tons of lead, reported AP. 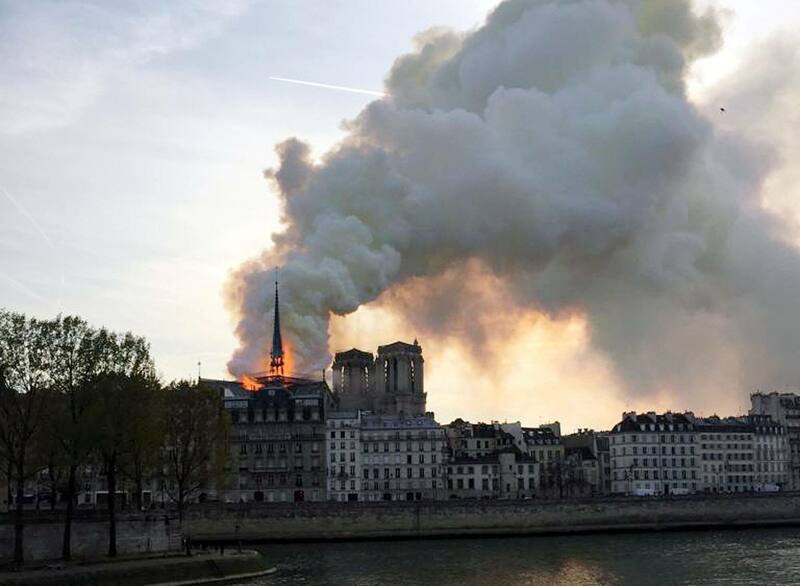 "Horrified by the pictures coming from Paris with the fire engulfing Notre-Dame Cathedral - a unique example of world heritage that has stood tall since the 14th century. 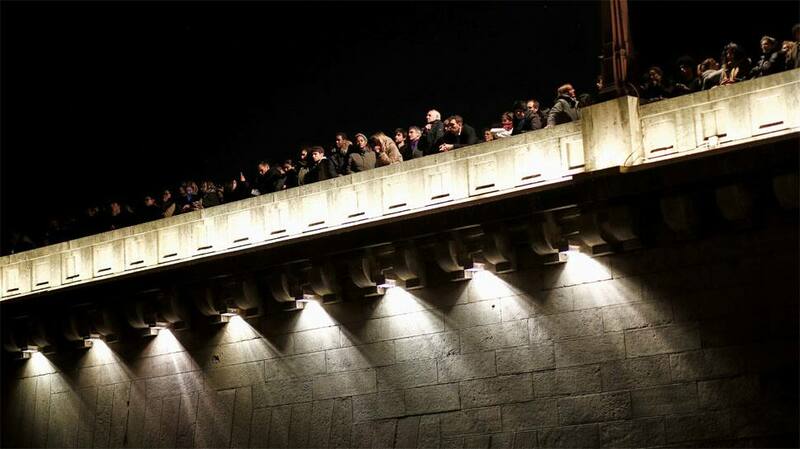 My thoughts are with the people and government of France," Secretary-General Antonio Guterres said in a tweet. The Notre-Dame is widely considered to be one of the finest examples of French gothic architecture and was given world heritage status in 1991. Construction of the cathedral began in 1163, on the central Parisian island in the middle of the Seine, known as Ile de la Cite, during the reign of King Louis VII, and it was finally completed in 1345. Over 400 firefighters worked to extinguish the fire and prevent one of the bell towers from collapsing. The also managed to rescue several invaluable artefacts. "The worst has been avoided," a visibly moved Macron said. "We will rebuild it together. It will undoubtedly be part of French destiny and our project for the years to come." 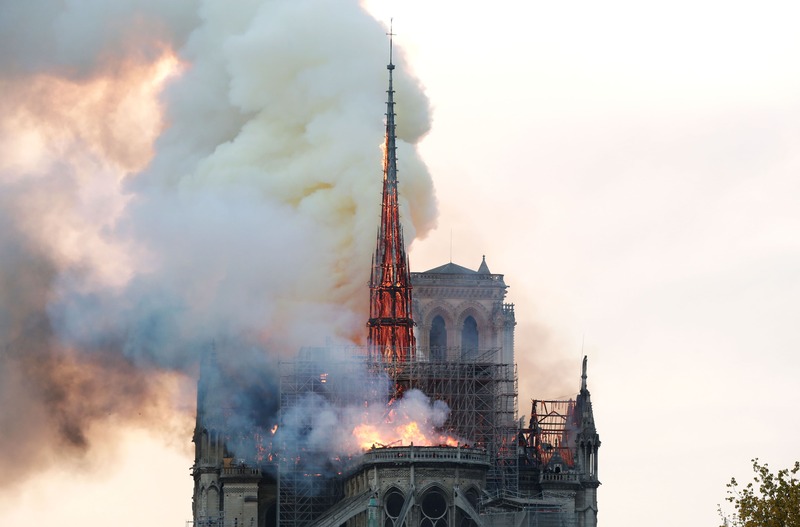 He asked the country to commit to rebuilding Notre Dame together, announcing an international fundraising campaign to raise money for the repairs.